Voice over IP (VoIP) phone systems offer far more features than being merely a digital replacement for the old analog phone system. In fact, with the right combination of hardware and software features, you can optimize it to suit precisely what your business needs. 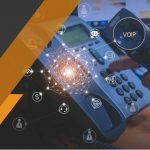 The following are our tips on how you can get the most out of your VoIP system. 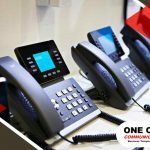 Choose Quality Hardware – The features of your VoIP system depend on the hardware that you choose, from the PBX system in your server room down to the desk phones that you and your employees or tenants will use. Good desk phones tend to have easy-to-use interfaces that make it easier to transfer and conference calls. It may save a few seconds, but it can be crucial in situations where, say, you need to have 20 people in the same call. Train Your People on Using the New System – Every new system has a learning curve, even if the new system is advertised as easy to use. A simple walkthrough of the system’s important features should be enough to avoid wasted minutes of your people trying to figure it out on their own. Customize Your IVR – VoIP systems come with a default interactive voice response (IVR) system. 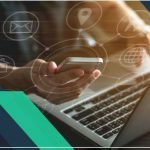 While it is functional for calls within the workplace, customizing the IVR with your own recorded greeting, set of options, and even a custom hold music can help establish your brand as well as ensure proper call routing. Use Automatic Provisioning – Manual provisioning, as the name implies, involves manually configuring each phone when a new employee comes in. It’s not that complex when you’re handling a team of up to 10 people, but once you start increasing your numbers, it can take a long time for everyone to get set up. Many VoIP services now come with auto-provisioning. Once a new employee plugs in, a compatible desk phone automatically downloads its settings from your server, ready to use in a few minutes’ time. 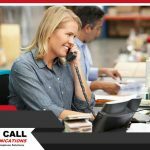 One Call Communications offers a wide selection of VoIP systems that will fit your business communication requirements. Call us today at (888) 323-0557. You can also fill out our contact form to schedule an appointment.